If you are a resident or a frequent visitor of Chicago, the IN:CHICAGO Card from American Express can help you earn special benefits and services in the Chicago area. In this post, we'll cover the basics of the IN:CHICAGO Card and explain what makes it unique. The IN:CHICAGO Card from American Express allows you to earn rewards and experiences in Chicago by using your card. Through the program, you will earn one rewards point for every dollar you spend on general purchases. You will earn double points on "City Essentials," which include gym memberships, newspaper and magazine subscriptions, dining, movies, cell phone services, and cable and dial-up ISP connections. You can redeem your points for benefits and experiences based in Chicago, New York, and Los Angeles. Such benefits include free hotel stays, airline travel, and dining. Your points will never expire and there is no annual limit to how many you can earn. This card also offers an impressive feature called Tuesdays IN:CHICAGO. Every Tuesday, cardholders can use their card at select merchants and receive 10% off. Participating merchants include spas, health clubs, and retailers. You will also enjoy priority access to venues as a cardholder, such as concerts, clubs, and more. This card comes with an unbeatable 0% interest rate on purchases and balance transfers for the first six months. After this period, the APR is a competitive 11.24%. Do you live in or frequently travel to New York City? Are you looking for a credit card with a great NYC-based rewards program? If so, the IN:NYC Card from American Express is the card for you. In this post, we'll explain the basics of the card and what makes it stand out among the competition. Through the IN:NYC Card from American Express reward program, you will earn one point for ever dollar you spend on general purchases. You will earn two points for every dollar you spend on "City Essentials," which includes gym memberships, newspapers, magazine subscriptions, cell phone service, Internet service, dining, and movie theaters. Cardholders can redeem their points for benefits and experiences based in New York City, Chicago, or LA. Such experiences include free dining, airline travel, and hotel stays. Your rewards points never expire, and there is no limit to how many you can earn each year. One of the most attractive features of the rewards program is called the Tuesdays IN:NYC program. Through this program, you use your card on Tuesdays at select retailers like Oasis Day Spa, Zabar's, and Jean Paul Gaultier and get 10% off your purchase. You will also receive priority access to venues like Irving Plaza and membership discounts at the Guggenheim Museum. The IN:NYC Card from American Express also comes with an unbeatable introductory APR of 0% on purchases and balance transfers for the first six months. After that, you will pay a reasonable 11.24% variable APR. Cardholders will also have access to traditional services like auto rental insurance and various fraud protection services. Would you like to build your savings by using a credit card? If so, the One from American Express card is a good option for you. One from American Express allows you to deposit cash rebates into a high-yield savings account to maximize your interest gains. In this post, weâ€™ll cover the basics of the card and explain what makes it unique. Through the One from American Express Card savings accelerator plan, you will earn a 1% cash rebate on all eligible purchases. Your rebates will then be deposited into a high-yield, FDIC-insured savings account in your name with a special rate of 4.5% APY as of 12/4/2007. After you make your first purchase, $50 will automatically be deposited into your savings account. The card comes with a reasonable $35 annual fee that is waived for the first year. The purchase APR is a competitive 13.24%. In addition to the rewards program, the One from American Express card also offers a bevy of benefits and services commonly found with Amex cards. Such benefits include a purchase protection plan, auto rental insurance, and up to $100,000 in travel accident insurance. Thus, if you plan to take advantage of the savings accelerator program and the standard services, you will benefit considerably from the One from American Express Card. Are you a business owner with average credit? Are you looking for a cash back rewards program on a low interest rate card? 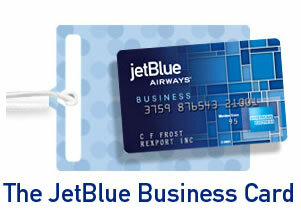 Then the Blue Cash for Business Credit Card by American Express is the card for you. In this post, youâ€™ll learn the basic information about the Business Blue Cash Credit Card and why it far surpasses its competitors. The Blue Cash for Business American Express card offers a great cash rebate program. The amount of your cash rebates will vary depending on where you make your purchases. For general purchases, you will earn 2.5% cash back. For purchases made at â€œOPEN Savingsâ€ locations, such as 1-800-Flowers.com, Hertz, and FedEx, you can earn up to 5% cash back. When your spending reaches $15,000, your cash rebate on additional â€œOPEN Savingsâ€ purchases will be 2%, and 1% on all other purchases. The beauty of this card is that it offers some of the most competitive interest rates in the industry combined with an attractive cash rewards program. For the first six months you are a cardholder, you will enjoy a 0% APR on purchases made at physical locations with your Blue Cash Card for Business. You will also receive a 7.99% introductory rate on balance transfers that will last the entire life of the loan if you make the transfer within the first six months you are a cardholder. Thatâ€™s rightâ€”that means if you transfer a balance within the first six months, you can lock in a low interest rate on your balance transfer for as long as the balance exists. The regular APR for this card is variable and competitive for those who qualify. To top it all off, there is no annual fee for this card. Of course, because you will be an American Express cardholder, you will also have access to services like purchase protection, travel accident insurance, and emergency assistance. If you are looking for a business credit card that combines a competitive interest rate with a great cash back rewards program, the Blue Cash for Business American Express is the card for you. Have you see this great card on Your Credit Network? It's the Delta SkyMiles Gold Credit Card from American Express. This blog entry will cover the basics, and the rewards of this great Delta card. This is no simple rewards program. These are actual miles you can use for your Delta flights. There is an annual spending limit of $100,000. But once you reach that limit, all it does is push your points from 2 miles per dollar, to 1 mile per dollar. So you still get to earn miles! There is a 3 year expiration date on the miles. But the expiration date is waived if you keep the account active. So no big worries there. What you have, is a great card that allows you to earn great rewards. This is definitely a win-win situation. And best of all, you know you will have a quality flight experience with Delta, from leaving your luggage at the airport, to safely exiting the plane. Don't Settle For Bronze When You Can Get Gold! The Delta SkyMiles Gold Credit Card from American Express is a top notch. Great rewards, and they are easy to acquire. You fly with Delta, so let them reward you for doing so. Don't settle for a normal card when you can get a card that gives you benefits. This card won't make you pay ridiculous fees and rates either. So show your loyalty to Delta, and let them show you some love back. Apply now start earning some frequent flyer miles! Have you seen this great card on Your Credit Network? Introducing the Starwood Preferred Guest Business Credit Card from American Express. This blog entry will cover the basics, and the rewards this great American Express card has to offer. Starwood wants you to be rewarded. There is no expiration date if your account does not go inactive for more than one year. So do not let it go inactive. Starwood has over 820 hotels where these points can be used. There are no blackout dates as well. You can also transfer your points with the hotel into frequent flyer miles. Over 30 major airlines will accept these points. Plus, if you transfer 20,000 Starpoints into miles, then you will receive 5,000 bonus miles! The luxury of the Starwood hotels, plus a great rewards card is a combination that cannot be beat. This card cannot be matched. Great rewards that you really want, and really can use. Get hotel points for a legitimate, and unmatched hotel. Why settle for something that gives you rewards you do not want or need? Plus, you get all these for reasonable fees, they do not look to catch you off guard with high fees. Let Starwood and American Express work for you. You will be rewarded for you loyalty. Don't wait, apply now!